I took the Lifebook quest at the beginning of last year, and then I took a more in-depth course, Lifebook Online, which started at the end of last year. Now, I’m in the Mastery course which is all about making your Lifebook’s vision come to life through goals and habits and other things. I’m only on week four, but I noticed something awesome as I’ve started creating yearly, quarterly, and monthly goals. The goal setting software that I use is matching up with Lifebook very well! Lifebook has me revved me up to achieve some awesome things, and, thanks to Lifebook and some serious thought on my part, I have more of a plan to get those things than I ever have before. We are just over halfway through Lifebook Mastery and I’ve been tweaking my goals, habits, and tasks each week we have a new lesson. From the very beginning, I knew that I was going to use the goal setting software Goals on Track to keep track of all my goals and the roadmap of how I would achieve them, and then The Happy Planner to reinforce monthly, weekly, and daily habits. The creator of the Goals on Track goal setting software understands how to help you achieve your goals, just like the creator of Lifebook does. It’s amazing at how things I’m learning in Lifebook are so easy to implement or reinforce inside the Goals on Track software. In Lifebook, you learn to create your life vision through different steps. You also think of obstacles that can hold you back from your life vision and give some thought and planning on how to avoid those obstacles. In Goals on Track, when you are filling in your goal, you fill in your vision, purpose, obstacles, and resources. This helps you reflect on your vision and what it will look like when you reach your goal, as well as the reasons behind it, obstacles that could get in the way, and resources that can help you achieve the goal. After you fill it all in, you can easily see it when you are looking at your goal. There is a description tab on each goal that contains your vision, purpose, obstacles, and resources. It’s like having your Lifebook integrated into Goals on Track. There are a few more aspects to Lifebook and creating your vision, such as premise, but, still, you can clearly see your goal, your reasons behind it, and how you are going to achieve it. In Lifebook, you focus on strategies to help you reach your visions. The resources section in this goal setting software can be used as a strategy section if you want. You could put in all the different strategy ideas you have to get to your goal and keep them for reference in your resource section. Of course, you could also use the journal section of this goal setting software to keep track of strategy ideas to help you reach your goals. In each journal entry, you can choose the corresponding goal you are writing about, so this will help you easily find your strategies or thoughts later on and implement them as subgoals or tasks if you want. I know that the above screenshot doesn’t look very friendly to read. But, when you click on the journal entry, the format you wrote it in will be there so it’s easier to read. In Lifebook, Jon Butcher helps you figure out what strategies will give you the most bang for your buck. Then you can go ahead and implement a plan in yearly, quarterly, monthly, weekly, or daily segments. The point is to create a workable action plan. In Goals on Track, you can create an action plan for your goals that include subgoals and tasks, which helps you clearly see all those goals that you set out for yourself, including the tasks you need to do today in order to move you towards your main vision. For instance, the following is a template from Goals on Track that has an action plan for saving $10,000 in 6 months for an emergency fund. You can see the main goal on top and in the action plan all the subgoals (short-term, medium-term, and long-term) as well as the tasks for each subgoal. You can also put a filter on when looking at your goals to see only your short-term, mid-term, or long-term goals, which can help you see your strategies more clearly. 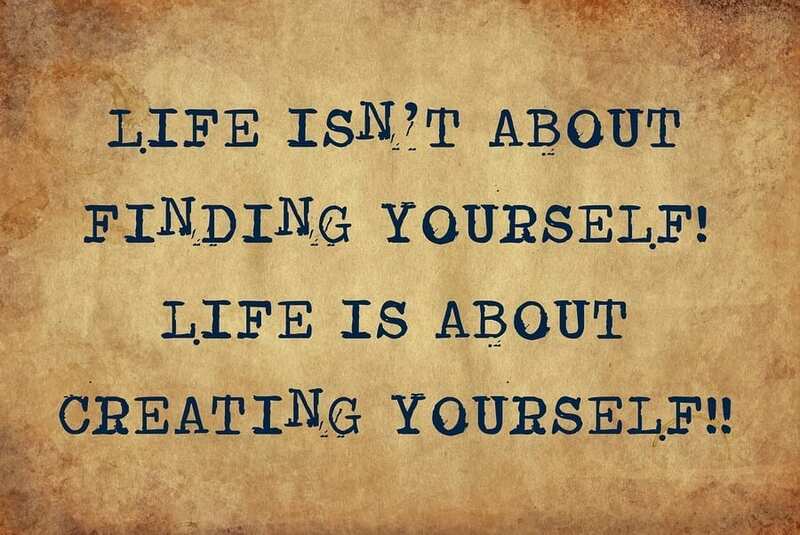 When you go through Lifebook, it’s easy to create a few different visions for yourself. But, you can’t go after all those visions at once. There’s just not enough time in the day. Jon helps you pick out the visions that you need to focus on now. With this goal setting software, you can keep all of the visions you are not working on in a section called Dreams/Someday so that you don’t forget about them and can someday put a working action plan in order for them. One of the other things that make Lifebook and Goals on Track go together so well is you can add habits that correspond to your goals. In Lifebook, you learn how important your habits are to your goals and how to pick the most useful habits, and in Goals on Track, you can easily create those habits and tie them into your goals. In short, if you are looking for a goal setting software to use with your Lifebook plan, then Goals on Track is my recommendation. You can easily set SMART goals and build your action plans based around your Lifebook. So far, I’ve found it very easy to put almost all my information from Lifebook into Goals on Track. Goals on Track even has a vision board, so you can plunk all those pictures that you correspond to your Lifebook visions into the vision board and spend some time looking at it every day. You can read my Goals on Track review here. Or, you can learn more about this awesome goal setting software here. I’ve tried a lot of different goal setting software programs over the years, but I can honestly say this is the easiest one to use while being the most detailed and effective at the same time. I’ve always liked it, but now that I realize it works so well with my Lifebook, I’m so grateful for it.